Please click on images to see larger versions. I’ve always wanted to photograph the Little Lady Liberty at Alki Beach, but the lighting was never to my liking…until tonight. 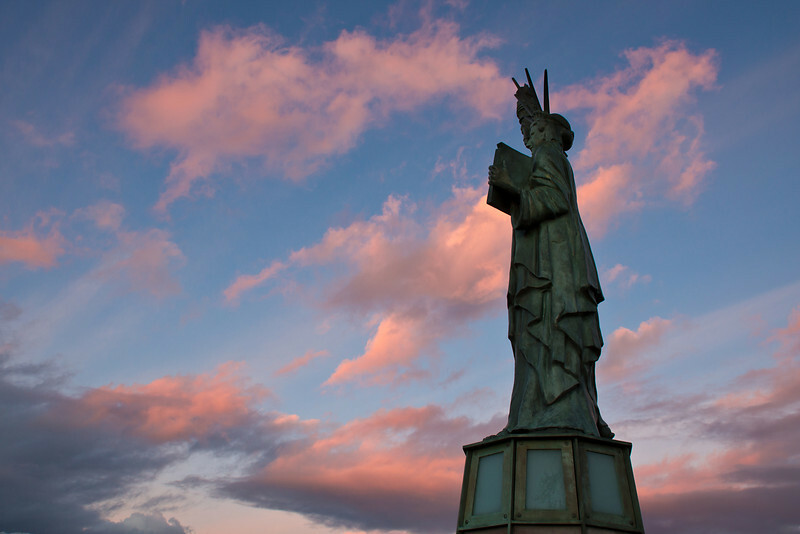 The Statue of Liberty, a small replica of the original “Liberty Enlightening the World” in New York City, was a gift from Reginald H. Parsons and the Seattle Council of the Boy Scouts of America in 1952. The statue has become such a symbol of liberty and courage that it became a place to mourn, to reflect, and to leave mementos after the terrorist attacks of September 11, 2001. Very nice! 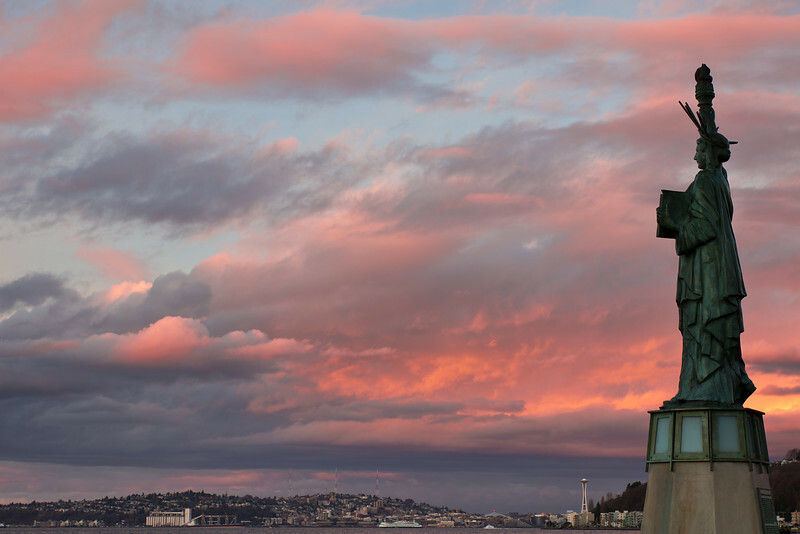 I’ve been meaning to get out to Alki for a long time; I didn’t realize they had a replica of the Statue of Liberty. I was outside for yesterday’s sunset, as well. The sky really felt three-dimensional and layered, and the most interesting colors surprisingly ended up being to the East, like you’ve captured beautifully here. I guess all that wind helped produce some good clouds. Thanks for your kind comments on my blog yesterday. Terrific light in the skies here man! Very nice and a great sky. We have that when there are clouds, too. Nice shots of the replica and the sky. very dramatic shots. I just love the colors and textures!